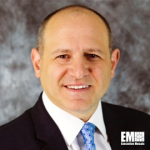 Stuart Kippelman, an information technology veteran, has joined Parsons as chief information officer of the Pasadena, Calif-based security, defense and infrastructure services contractor. He will work with the company’s business executives to address IT matters in areas such as data analytics, business intelligence, technical services and development and support, Parsons said Wednesday. Kippelman previously held a similar role at Covanta Energy, Platform Specialty and Johnson & Johnson. He is a career mentor for the Executive Master of Science in Technology Management program at Columbia University and Pathways program at the CIO Executive Council. He received the 2012 CIO Top 100 award, Computerworld’s 2014 Premier 100 IT Leader award and STEMconnector’s 2015 Top 100 CIOs in STEM award.